Gamers can earn zGold and zSilver to buy in-game items and receive discounts on Razer-branded accessories and laptops. The free-to-play model has been trickling in from mobile games onto the PC platform with often unique forms of currency for each title. Gamers who frequently play multiple free-to-play titles may then have to keep track of how many coins they have in each game. Razer, a popular US-based manufacturer of gaming gear and notebooks, has launched zVault in an attempt to unify and normalize the various currencies of some notable PC titles. The program also serves as a secure payment platform for both online and in-game transactions. Virtual currency in zVault will consist of zGold and zSilver with zGold having a fixed conversion rate of 100 zGold to $1 USD. 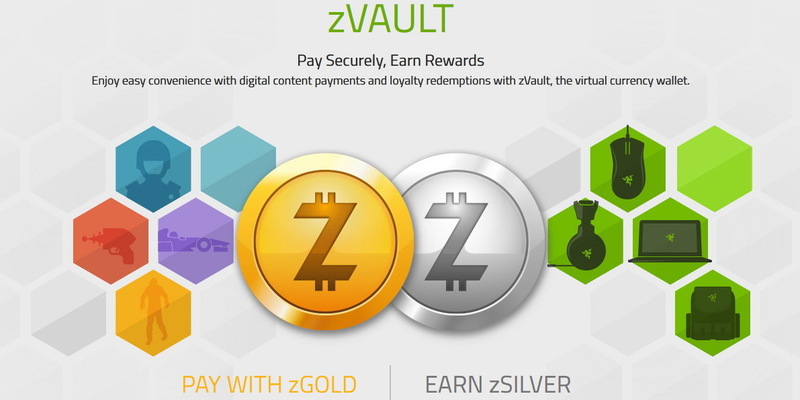 According to the developers, zVault was created as a "digital wallet" to make it both easier and safer for gamers to buy game-related items while providing reward options through bonus programs. Meanwhile, zSilver encourages "loyalty play" as it can be earned simply by using Razer products and software including Razer Cortex, Razer Arena, and even zVault. The virtual currency can then be exchanged for discounts on items in the Razer Store. The zVault platform is accessible via zvault.razerzone.com and will require a Razer ID login. Users can purchase zGold coins in packs of 3000, 5000, or 10000 via PayPal or credit card. Popular titles that are already accepting zVault are Smite, Paladins, CrossFire, Lost Saga, and others with more to come in the future. Certain online retailers like IndieGala will also be accepting zGold for purchasing select Steam keys. It's worth noting that more titles are beginning to accept direct real-world currency via PayPal or credit card to bypass in-game coins altogether. It remains to be seen if zVault can grow to become a popular payment platform for dedicated gamers.